PiPO's previouse two Mini PC TV Boxes -- PIPO X8 and X9 has gained a good popularity of users. 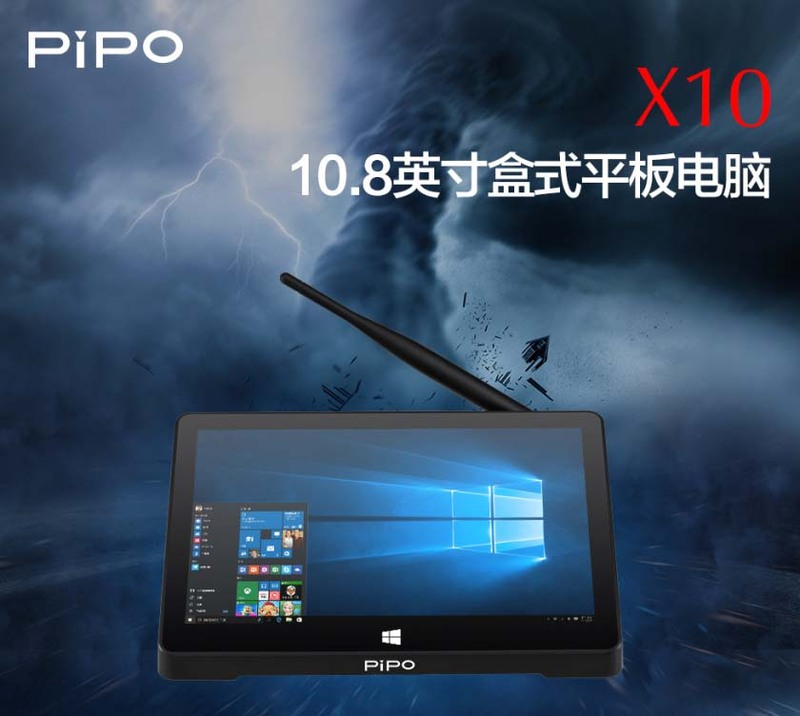 Recently PiPO launched the latest PiPO X10 model, which is equipped with a larger screen, upgraded processor, and built-in battery design. 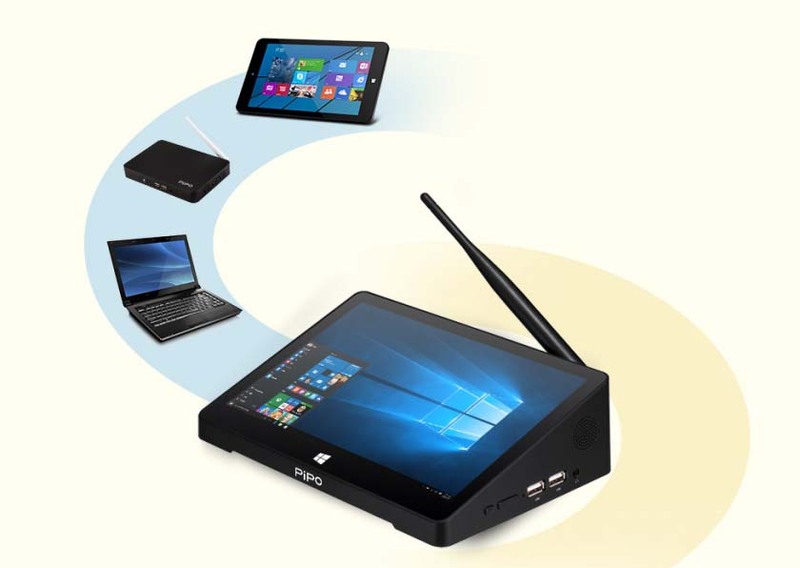 The design of X10 mini pc is very simple. Dimension is 255 x 173 x 70mm and weighs 1020g, while there are two differences from the usual tablet pc. First, the thickness is larger, which makes it full of excellent expansibility, including 4 x standard USB ports, a HDMI port, 3.5mm earphone port, TF card slot, and RJ45 WLAN port. 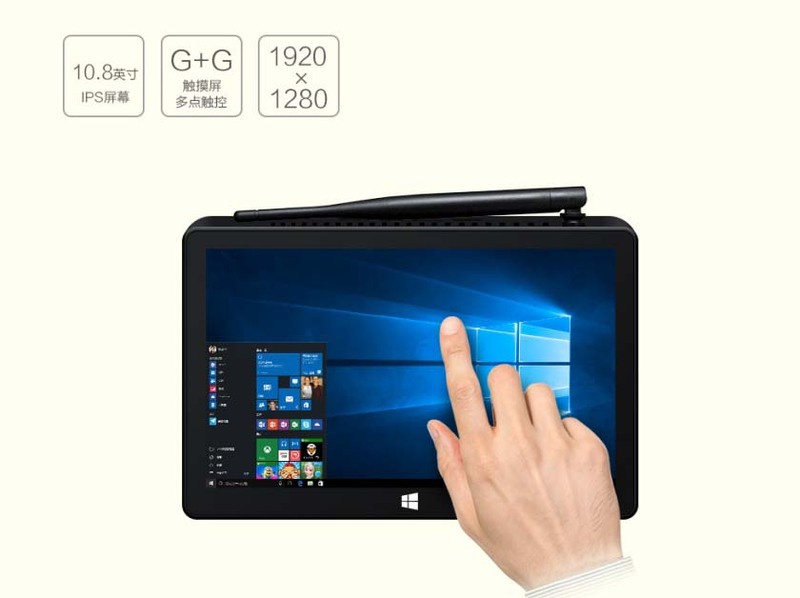 Moreover, X10 has an independent rotatable wifi antenna, the signal receiving ability is far better than ordinary tablet / phone. 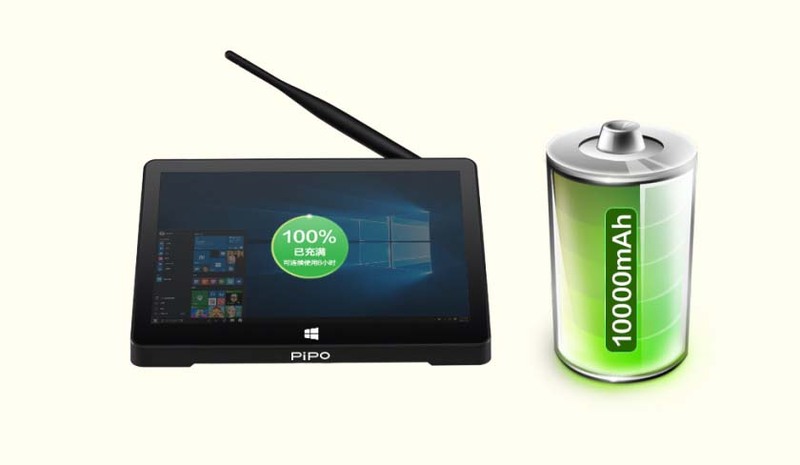 PiPO's previous Mini PC TV Boxes are not built in battery design, while X10 is built in a 10000mAh battery. PIPO Official also showed that there will be a non-battery design version launched in future. In order to improve product stability, PIPO X10 TV Box is equipped with a 5V/3A power supply, and uses a built-in fan active cooling design, making it a good stability for long time working. 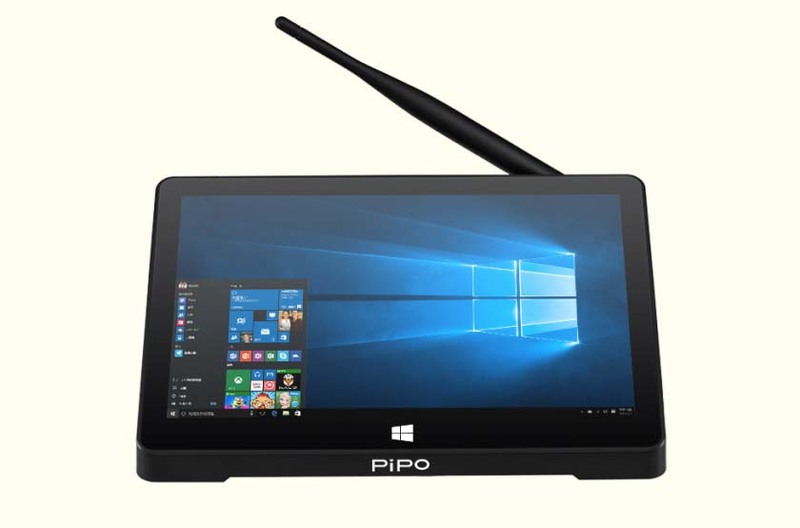 Pipo X10 mini pc tablet is also equipped with a 10.8 inch IPS screen with 1920 x 1280 pixels resolution, which is very rare of such a spec screen, while it has a good screen performance. Users can operate it without connecting external display. 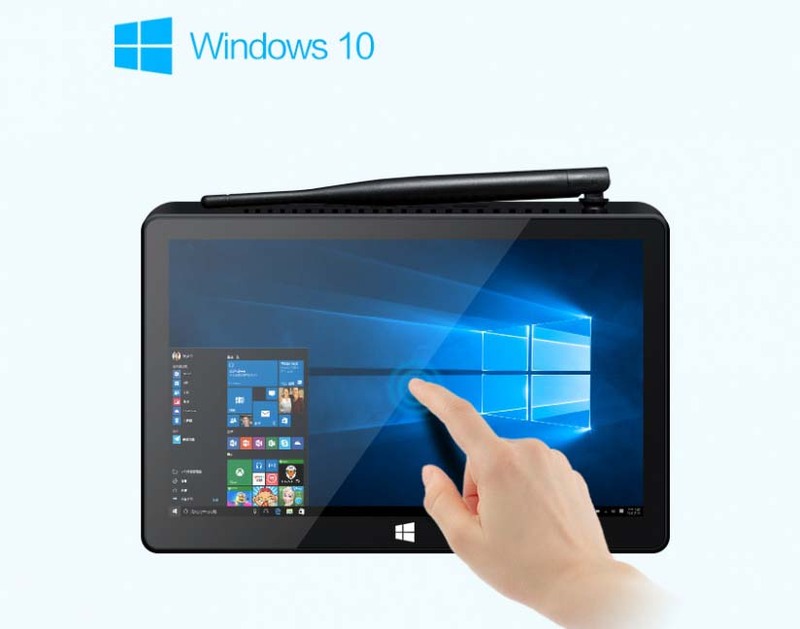 X10 is pre-installed with Windows 10 Home OS, which will offer you a better experience of the new genertaion netbook. 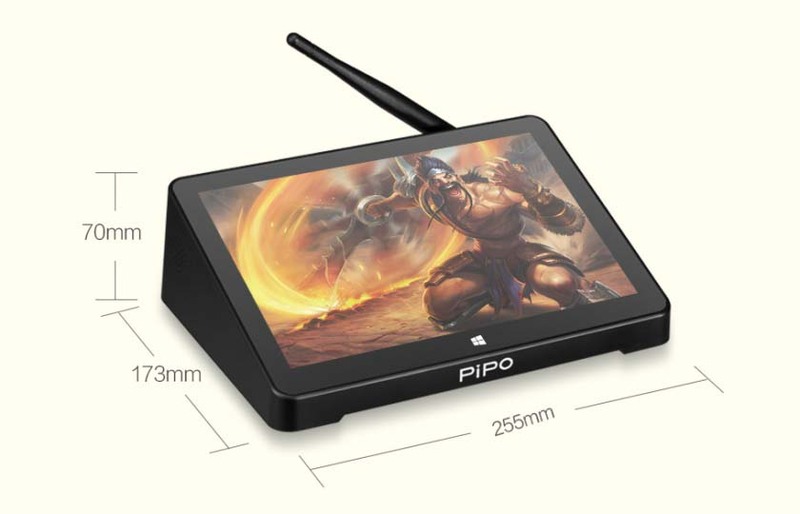 PIPO X10 TV Box is also built in 14nm Intel Atom Z8300 quad core processor, up to 1.84GHz frequency, and matched with Intel HD Graphics GPU, he performance is powerful. Meanwhile, it is equipped with 4GB DDR3L RAM + 64GB eMMC ROM, which runs smoothly and have a better experience. You can easily connect your X10 with monitor by an HDMI cable. And then plug in the power supply, connect the keyboard, mouse, and power it on, you can perform various operations, easily to run Office, PS processing and other office software as well as playing all popular games.